This is probably one of the coolest neotropical plants. 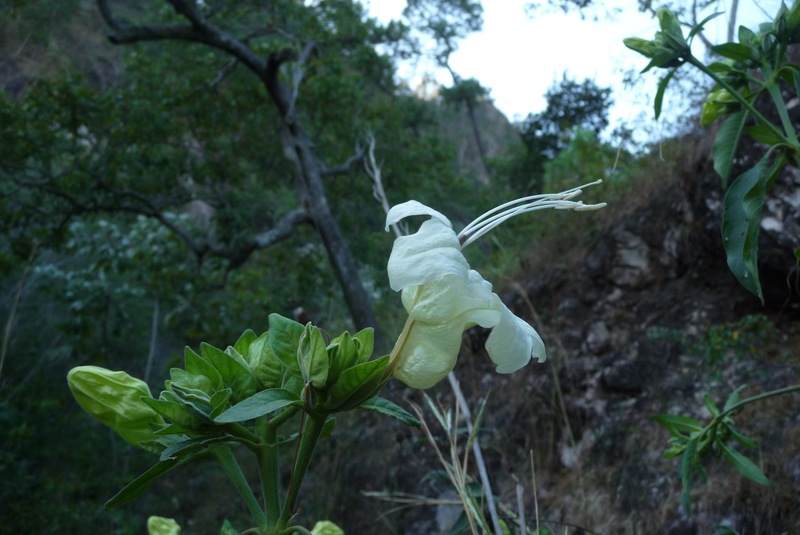 My designation probably has a lot to do with those bat-adapted flowers but remarkably, this reflects an independent evolutionary origin of bat pollination from other species in Mexico (e.g., those in the Chiropterophila clade). Much to be learned about the natural history of Ruellia petiolaris. I am constantly in awe of the plant-pollinator diversity in Mexico.